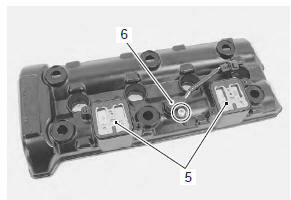 Remove the gaskets (1) and (2). 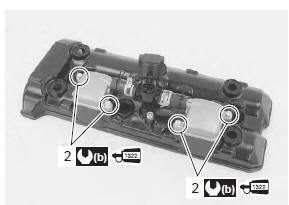 Remove the pair control solenoid valve (3) along with the pair reed valve covers (4). 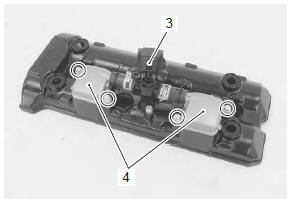 Remove the pair reed valves (5) and cmp sensor (6). when installing the cmp sensor, clean the sensor surface. Install the pair reed valves. 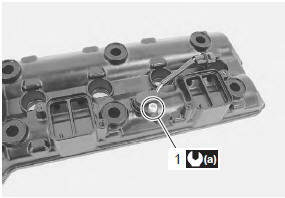 Apply thread lock to the pair reed valve cover bolts (2) and tighten them to the specified torque. 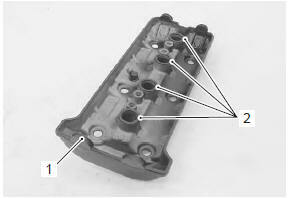 Fit new gaskets and install the cylinder head cover to the cylinder head. Refer to “engine top side assembly” .